We accept the following credit cards through PayPal. The following are dogs that we are selling for friends in Germany or here in the states. If you are interested in any of these dogs or would like further information and photos, please contact us. 3.5 yr old male, sired by Arkan vom Räuberweg, out of Emma von der Mattesburg. 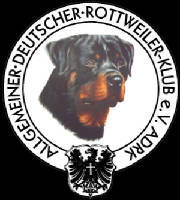 Very large, strong adult male with 100% German (ADRK) pedigree. Excellent for show, very high drive & HD/ED frei. SERIOUS INQUIRIES ONLY !!!!! 3 yr old female, ADRK Pink Papered, German Import. Daughter of Kamaro vom Kümmelsee & Walli von der Crossener Ranch, HD/ED Frei, JLPP Frei (ADRK). Available to breeding or show home.